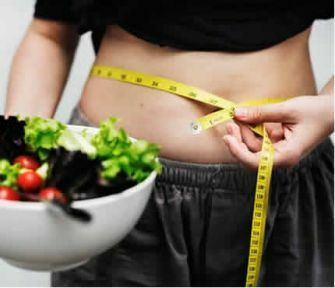 One of the contributors to the popularity of the keto diet is the supporting research from medical professionals concluding that aside from helping a person lose weight, this diet also has many other health benefits such as reducing the insulin levels of diabetics. The diet involves drastically cutting down your carb intake so that your body will use fat as a source of energy instead. You think it is that easy, right? Wrong. Most people who are used to a high carb diet will likely find the adjustment difficult. A keto diet plan for beginners has better chances of giving you the results you are looking for by following the tips below. A keto diet changes your metabolic pattern by burning fat instead of carbs. This process, also known as ketosis is what’s responsible for weight loss. If you want your body to switch to ketosis faster and hasten the weight loss process, not eating or drinking anything for a set amount of time through intermittent fasting has a similar effect to the keto diet in manipulating your body’s metabolic process. If you are stressed all the time, your body may not respond to a keto diet as well as you would expect. Stress causes your hormones to increase your blood sugar which in turn inhibits the capability of your body to burn fat and use it as an energy source. Reducing stress levels first before adopting a keto diet will aid in achieving your goals such as losing weight. As much as possible, you need to get enough sleep, exercise and relax once in a while to allow your body to adjust to ketosis naturally. Before your body can enter into ketosis, it needs to burn excess glucose present. The best way to hasten this process is to exercise as much as you can. Regular exercise can also boost the ketone levels in your body; thus, allowing you to adjust faster to your new lifestyle. In choosing an appropriate workout plan, include high intensity and low-intensity exercises to balance the sugar levels in your body. One of the challenges in maintaining a keto diet is preparing food. To help you stay on track, make a meal plan every week and cook food in batches. You can pack them and store them in the freezer, ready for your next meal. Doing this will prevent you from slipping when it is dinnertime or lunchtime, and you have not yet prepared a keto meal for yourself. Hydration is every bit as important as eating the right foods when you are on a keto diet. Substituting carbohydrates with fat will lead to more water excretion from your body. Pay attention to how much you sweat. Drink more on days that you sweat more such as when you are working out or engaged in more physical activities. The minimum water intake for someone on a keto diet is the ounce equivalent of half your bodyweight.